It’s road trip season and last weekend we sent Graham and Miles on a weekend RV camping trip with Nana and Papa. I packed up some of our favorite car activities to make their three hour drive go easier. 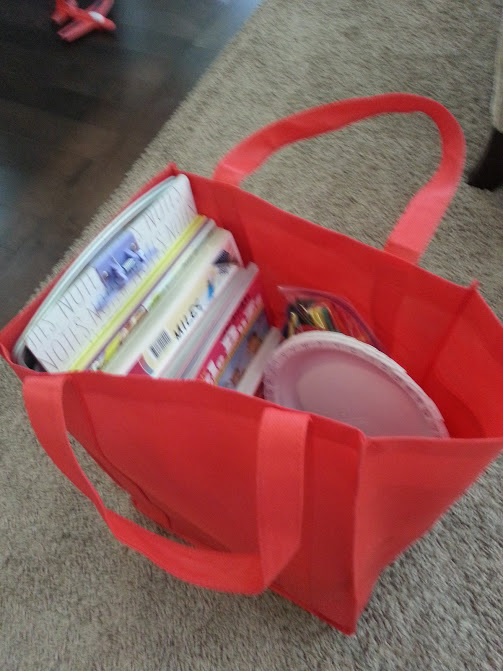 I picked a canvas bag that was easy to store everything and for quick rummaging while in the car. In the past I’ve made the boys their own backpacks or kits but this time they were going in a car instead of the van so I wanted to cut down on the luggage. 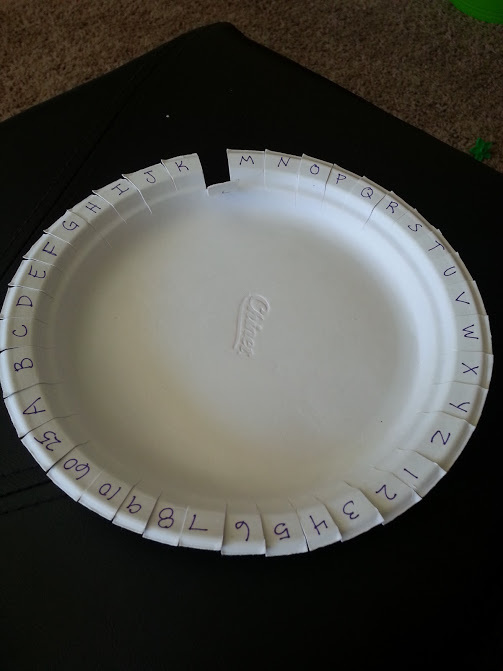 One of Graham’s favorite activities for long trips is the most simple – take a paper plate and write the alphabet around the rim. Snip in between all the letters so each letter can be folded down like a tab. 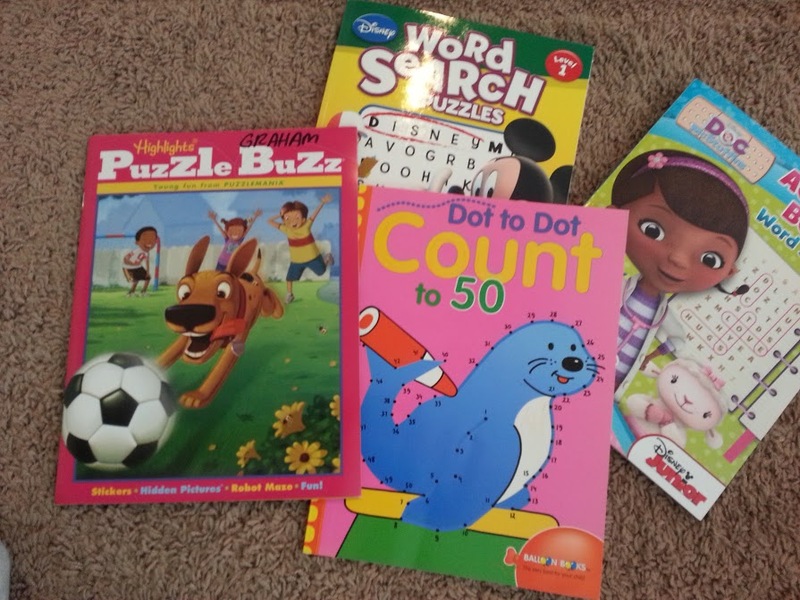 Then you’re ready to go for “Road Trip Alphabet I Spy”. As you drive along have your kids spot the different things on the plate and they fold the tabs down as they find them. For older kids make it a challenge and have them go in order around the plate. 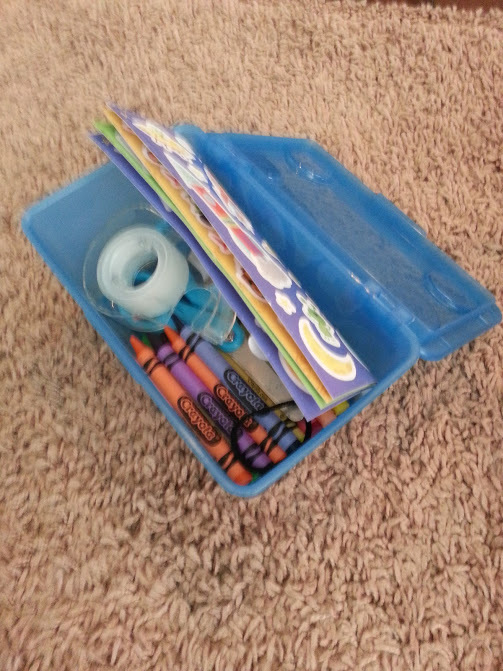 Each kid had their own go box of art supplies – crayons, scissors, tape, stickers. Anything your kids like to create with would be a great car distraction. I bought these boxes at IKEA a while back and have reused them for many things. The dollar store would also be a great place for boxes or just grab a large tupperware container from your kitchen. To go with the art box I packed blank paper as well as some activity books. Coloring books would be great as well. Right now Graham and Miles enjoy coloring on blank paper better than in coloring books so we left those at home. 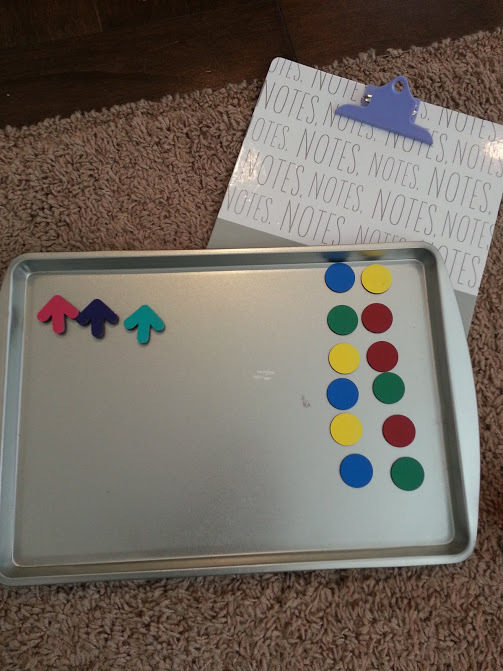 I also included two clipboards (Target dollar bins) and two magnetic cookie sheets (Dollar Tree) to help with holding paper and crayons. Walmart had some great cheap magnets I picked up a while back which make great tic tac toe markers or the boys even had fun coloring their own pictures and using the magnets as part of their picture. The arrow magnets were from Target about a year ago and you can get them in different colors. 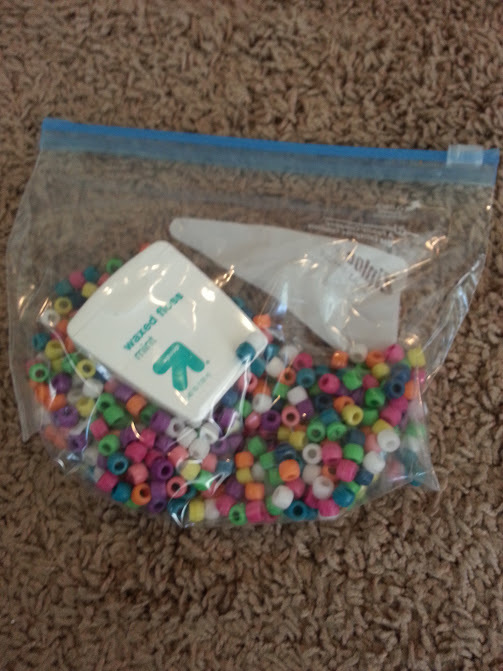 Lately the boys have enjoyed stringing necklaces so I tossed in a baggie of pony beads for each boy and a roll of dental floss which makes a great way to cut different lengths of “string” for doing the beading. 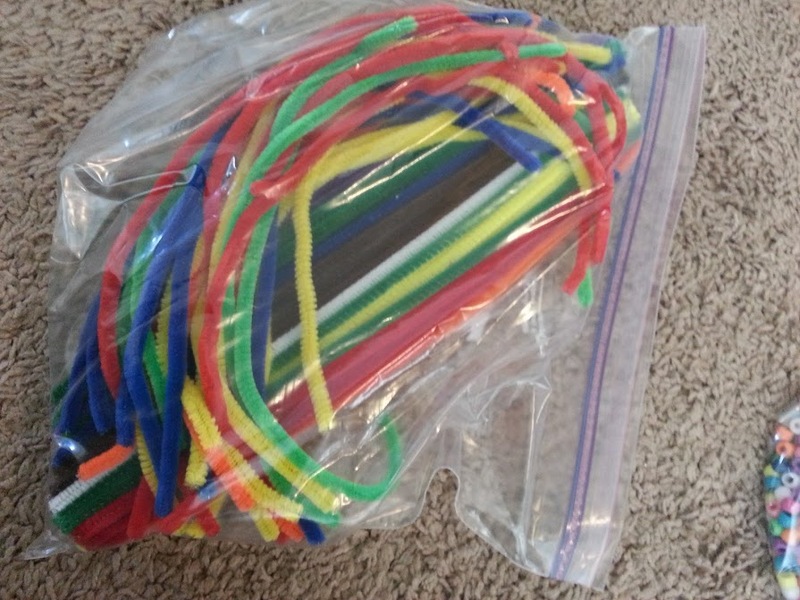 I also included a bag of pipe cleaners which have a lot of creative uses – you can string beads on them, make pipe cleaner sculptures or do any kind of color sorting or counting you want. Making silly glasses and wrapping them around your fingers provided so much fun on our last road trip and it made a lot of fun memories as well. 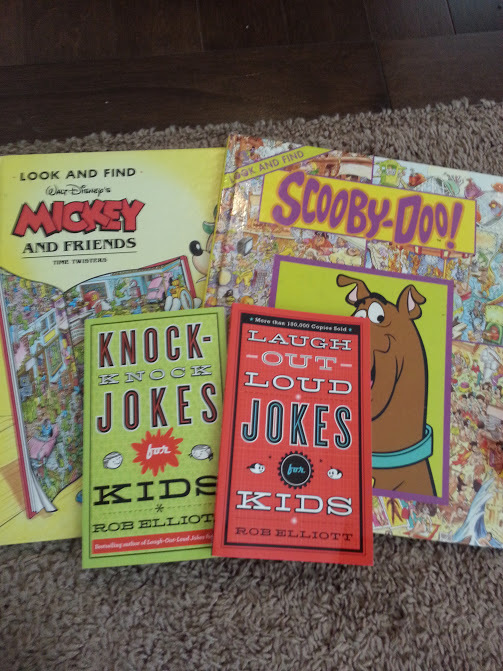 Finally I rounded out the collection with an assortment of easy reader books, find it picture books and a couple of joke books (thanks Auntie Kerry!) So if all else failed they could spend some time laughing and learning new jokes with Nana and Papa.